Good morning and welcome to Bloor Lansdowne Christian Fellowship’s Sunday Praise and Worship Service. Our lesson this morning is entitled: ‘Rejoice and Be Renewed In HIS Image’, where we will have an opportunity for some self-reflection upon our personal walk with the Lord. We will look at the pitfalls of hypocrisy in our faith practices when we reflect upon God’s Word, primarily using today’s Scripture verses, . 23 Then Jesus said to the crowds and to his disciples, 2 “The scribes and the Pharisees sit on Moses’ seat, 3 so do and observe whatever they tell you, but not the works they do. For they preach, but do not practice. 4 They tie up heavy burdens, hard to bear,[a] and lay them on people’s shoulders, but they themselves are not willing to move them with their finger. 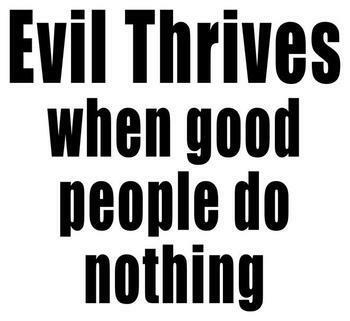 5 They do all their deeds to be seen by others. For they make their phylacteries broad and their fringes long, 6 and they love the place of honor at feasts and the best seats in the synagogues 7 and greetings in the marketplaces and being called rabbi[b] by others. 8 But you are not to be called rabbi, for you have one teacher, and you are all brothers. [c] 9 And call no man your father on earth, for you have one Father, who is in heaven. 10 Neither be called instructors, for you have one instructor, the Christ. 11 The greatest among you shall be your servant. 12 Whoever exalts himself will be humbled, and whoever humbles himself will be exalted. 13 “But woe to you, scribes and Pharisees, hypocrites! For you shut the kingdom of heaven in people’s faces. For you neither enter yourselves nor allow those who would enter to go in. [d] 15 Woe to you, scribes and Pharisees, hypocrites! For you travel across sea and land to make a single proselyte, and when he becomes a proselyte, you make him twice as much a child of hell[e] as yourselves. 29 “Woe to you, scribes and Pharisees, hypocrites! For you build the tombs of the prophets and decorate the monuments of the righteous, 30 saying, ‘If we had lived in the days of our fathers, we would not have taken part with them in shedding the blood of the prophets.’ 31 Thus you witness against yourselves that you are sons of those who murdered the prophets. 32 Fill up, then, the measure of your fathers. 33 You serpents, you brood of vipers, how are you to escape being sentenced to hell? 34 Therefore I send you prophets and wise men and scribes, some of whom you will kill and crucify, and some you will flog in your synagogues and persecute from town to town, 35 so that on you may come all the righteous blood shed on earth, from the blood of righteous Abel to the blood of Zechariah the son of Barachiah,[f] whom you murdered between the sanctuary and the altar. 36 Truly, I say to you, all these things will come upon this generation. The scribes and Pharisees explained the law of Moses, and enforced obedience to it. They are charged with hypocrisy in religion. We can only judge according to outward appearance; but God searches the heart. They made phylacteries. These were scrolls of paper or parchment, wherein were written four paragraphs of the law, to be worn on their foreheads and left arms, Exodus 13:2-10; 13:11-16; Deuteronomy 6:4-9; 11:13-21. They made these phylacteries broad, that they might be thought more zealous for the law than others. God appointed the Jews to make fringes upon their garments, Numbers 15:38, to remind them of their being a peculiar people; but the Pharisees made them larger than common, as if they were thereby more religious than others. Pride was the darling, reigning sin of the Pharisees, the sin that most easily beset them, and which our Lord Jesus takes all occasions to speak against. For him that is taught in the word to give respect to him that teaches, is commendable; but for him that teaches, to demand it, to be puffed up with it, is sinful. How much is all this against the spirit of Christianity! The consistent disciple of Christ is pained by being put into chief places. But who that looks around on the visible church, would think this was the spirit required? It is plain that some measure of this antichristian spirit prevails in every religious society, and in every one of our hearts. The righteousness of the scribes and Pharisees was like the ornaments of a grave, or dressing up a dead body, only for show. The deceitfulness of sinners’ hearts appears in that they go down the streams of the sins of their own day, while they fancy that they should have opposed the sins of former days. We sometimes think, if we had lived when Christ was upon earth, that we should not have despised and rejected him, as men then did; yet Christ in his Spirit, in his word, in his ministers, is still no better treated. And it is just with God to give those up to their hearts’ lusts, who obstinately persist in gratifying them. 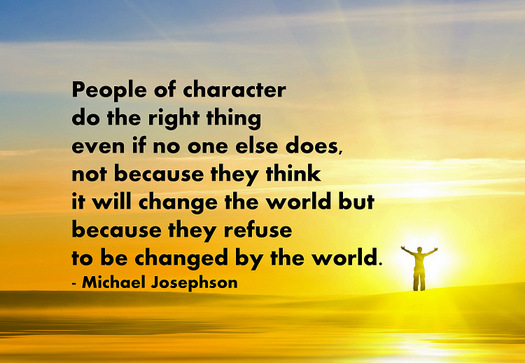 Christ gives men their true characters. Our Lord declares the miseries the inhabitants of Jerusalem were about to bring upon themselves, but he does not notice the sufferings he was to undergo… There is nothing between sinners and eternal happiness, but their proud and unbelieving unwillingness. The Bible refers to Christ, Jesus as the “Word made flesh.” But what is meant by this description of our Lord? The Bible reminds us that God created us in His image. And while the sin of Adam and Eve separated us from the image of God spiritually, which removed from us the immortality of this Godly image, Jesus, by way of his death on the cross to remove the death penalty, which is the expected judgment for sin and restores in us the promise of immortality to those who are not fettered by condemnation of sin. Having been freed of the judgment of sin, we are baptized by the Holy Spirit and born again into a new self, redeemed and sanctified by Christ, Jesus, being a new creation through him. No longer are we judged by the Law, but redeemed by the one who has fulfilled that judgment, by his own sacrifice on the cross. 9 Do not lie to one another, seeing that you have put off the old self[a] with its practices 10 and have put on the new self, which is being renewed in knowledge after the image of its creator. 11 Here there is not Greek and Jew, circumcised and uncircumcised, barbarian, Scythian, slave,[b] free; but Christ is all, and in all. Benediction: – (2 Thessalonians 2:16-17): Now may our Lord Jesus Christ himself, and God our Father, who loved us and gave us eternal comfort and good hope through grace, comfort your hearts and establish them in every good work and word. Today’s message is entitled ‘The Lessons of Good Samaritan’, also know as The Good Samaritan, referring to one of the parables Jesus used to teach and give insight to God’s will in our lives. The word “parable” comes from the Greek “παραβολή” (parabolē), the name given by Greekrhetoricians to any fictive illustration in the form of a brief narrative. Later it came to mean a fictitiousnarrative, generally referring to something that might naturally occur, by which spiritual and moral matters might be conveyed. 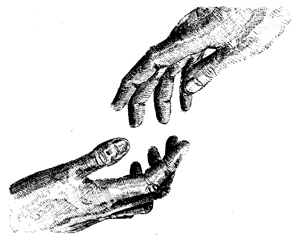 A parable is a short tale that illustrates universal truth, one of the simplest of narratives. It sketches a setting, describes an action, and shows the results. It often involves a character facing a moraldilemma, or making a questionable decision and then suffering the consequences. The dilemmas presented in Jesus’ parables often mirrored the real-life situations faced by those whom the parable is presented. As God has provided us with the Bible as a lamp to guide us through life, the Parable of the Good Samaritan was written for all who read His word. 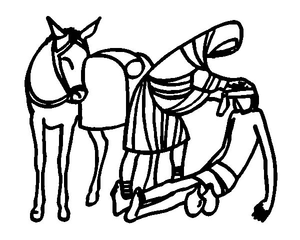 Therefore, we may consider the Good Samaritan Parable was written expressly for both you and me. Any lessons learned from the parable are lessons given by God to us, for our benefit, and are just as relevant today, as they were in the time of Christ. 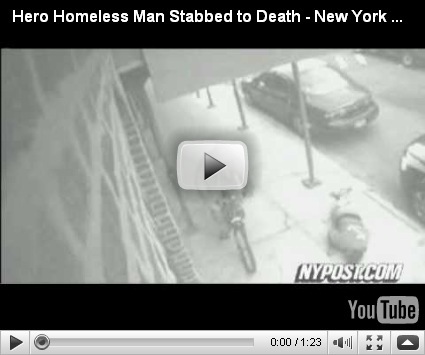 More than 20 people ignored a dying man for nearly two hours as he lay on a New York street after saving a woman from being mugged. CCTV footage showed Hugo Tale-Yax, a homeless man, collapsing with stab wounds on a pavement shortly after stopping the mugger, who was armed with a knife. He lay dying in a pool of blood as people strolled past, some pausing briefly to look at him. One even emerged from a nearby building to photograph Mr. Tale-Yax, a 31-year-old Guatemalan immigrant, with his mobile phone. Another man bent down to shake him, lifting him to reveal the pool of blood, but he still walked away. When police and firemen finally arrived at 7:23 AM on Sunday in the Jamaica neighbourhood of Queens to find Mr. Tale-Yax was dead, he had been lying there for an hour and 40 minutes. The same video footage earlier showed an unidentified woman being accosted by a man, who was then involved with a scuffle with Mr. Tale-Yax. As the other two fled in opposite directions, Mr. Tale-Yax staggered a few yards before collapsing. He was found by firemen responding to an emergency call. Police said they received three calls, one about a screaming woman and another about a man lying in the street. But both calls apparently gave the wrong address and officers found the right location only after a third call. 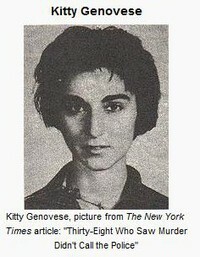 The incident has reminded New Yorkers of the notorious killing in 1964 of Kitty Genovese, who was stabbed to death in Queens. 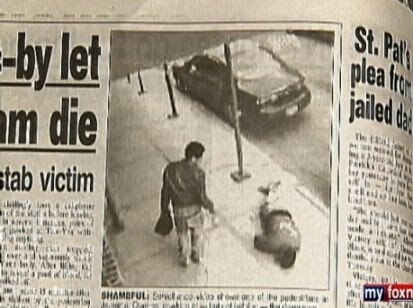 It is interesting that we now have a social psychological term for people when they do not want to get involved in the injury of a stranger, even though such intervention might save the victim’s life, the Kitty Genovese Syndrome. In Mathew 10:27, Christ tells us that we are to love our neighbors as we love ourselves, then it appears in the murders of Miss Genovese and Mr.Tale-Yax that there are at least 58 people who lack such love or compassion. 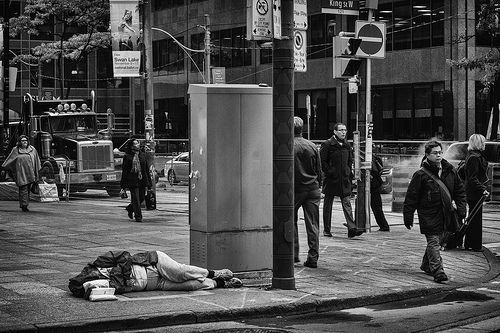 Either one might still be alive today if one had shown enough compassion to help, to be a Good Samaritan. Ironically, Mr.Tale-Yax, perhaps because he was homeless valued life so highly, that he risked his own life to save a stranger and was rewarded for his efforts by his own death thanks to twenty who made no effort to help this Good Samaritan. And as Mathew 25:40 states: ‘Truly, I say to you, as you did it to one of the least of these my brothers, you did to me.’ So not only do the 58 bi-standers by not assisting the victims of these crimes demonstrated a lack the love for their neighbor, they are judged by their actions do not have a love for God as well. The lawyer’s reply was: “You should love the Lord your God with all your heart and with all your soul and with all your strength and with all your mind, and your neighbor as yourself.” In Luke 10:28, we have Jesus acknowledge the lawyer’s reply as having answered correctly, telling him that by doing what he said he will live. 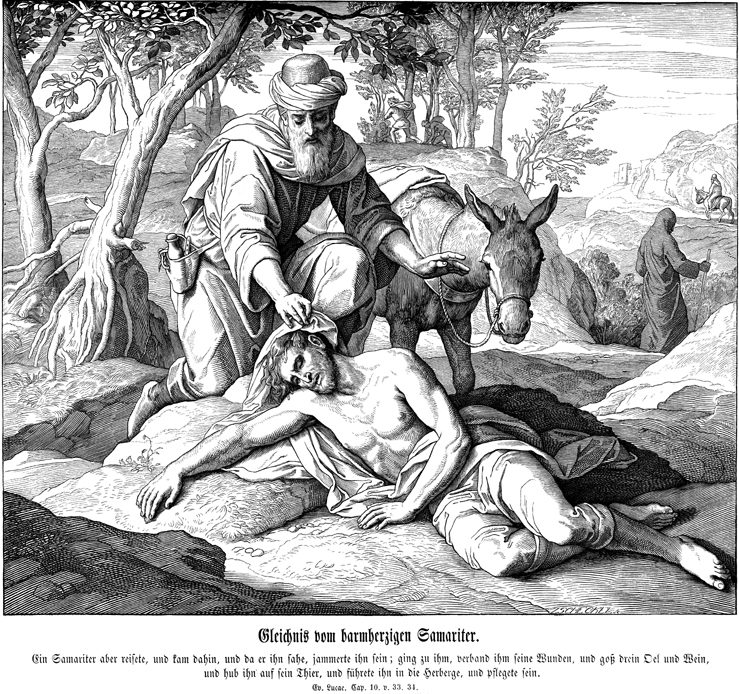 The Parable of the Good Samaritan starts with a lawyer, Greek nomikos, who is a “legal expert, or a jurist, or a lawyer, and a man who is skilled in interpreting the Jewish Torah testing Jesus on a point of law.” The Jews often called upon a lawyer or jurist of the scriptures to settle legal issues. The purpose of using this question to test Jesus was not intended to reaffirm the lawyer’s faith in Christ, but more likely an attempt to find a flaw in His understanding of the scriptures. Jesus was quite astute by turning the question back to the lawyer and giving him the test, instead. Another interesting aspect of Jesus response was to allow the lawyer to answer his own question and to follow it up by advising the lawyer to show love of God and love to others, indicating that the attempt to trap Jesus implied motives absent of love for either, but more of an earthly desire based on distrust or fear. The priest and Levite in the parable represent the religious elite. These people were characteristically arrogant and hypocritical, treating others they considered to be of a lower class, such as Samaritans, with contempt. Samaritans, in particular, were looked down upon. For though holding claims on Judaism, they were not pure Jews. They were half-breeds both genetically and theologically, a mixture between the Jews of captivity and the Samaritan people of the land they were captive in. Jews typically held Samaritans in contempt. The Samaritans were not gentiles and were still bound to the same law as the Jews. 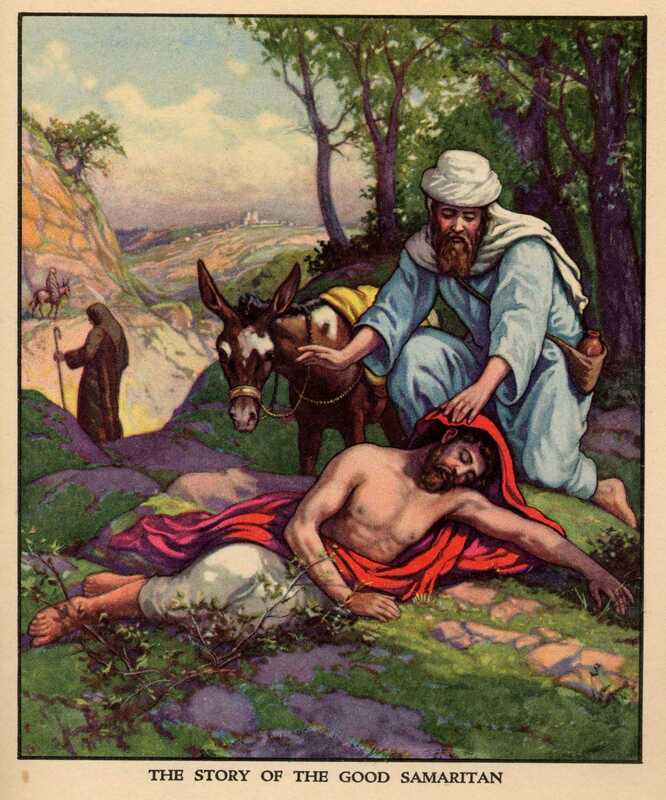 The parable illustrates the Jesus’ characteristic trait to humiliate the proud and lift up the humble, and thus he used a Samaritan in his illustration. Jerusalem and Jericho are connected by a 27 Kilometer road. This road is quite steep, dropping over 4800 KM in altitude. In the times of Jesus, this road was notorious for robbers and thieves. The prospect of traveling this route and encountering a victim as described in the parable is quite within reason. While the reaction of the priest and Levite could be rationalized that both avoided the half-dead man on the road because they feared the man to be not a victim but bait for a trap set by thieves. The fact that neither returned with help really shows the how self-absorbed these two were. The other rationalization for their reaction might be the fear that the victim was already dead and touching a dead body, if not a Jew, would defile particularly the priest to the point that he would not be able to collect, distribute or consume sacrifices presented to priests as tithes. Levites were descendants of Levi, but not of Aaron. Levites assisted priests, who were descended of Aaron, in the temple. The same expectation of non-defilement would apply. Whatever the reason for the journey of the priest and the Levite, each felt their business more important than the life a wretched victim found half-dead on the road, without help left to die. So if the priest and Levite had decided to not stop to help this man, we would not be surprised if Samaritan had decided to do the same. 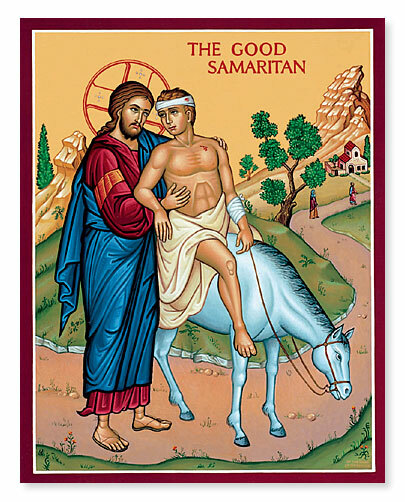 Instead, we see in Luke 10:33 that the Samaritan shows compassion and acts on his compassion by stopping and treating his wound, then taking the man to an inn on his own animal, and paid in advance for the man’s room and board; promising to return and pay for any more spent for the care of the man. Another example of a modern day Samaritan left to die by individuals with “more important” priorities is found among the elite mountain climbing community and their treatment of climber Lincoln Hall, who was rescued by Dan Mazur and Mazur’s team of fellow climbers, as described in summitclimb.com. 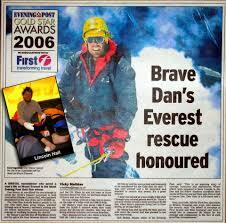 Dan Mazur is most widely known for his discovery and assistance in the rescue of Lincoln Hall, an Australian climber on Mount Everest on 25 May 2006. Lincoln Hall had been ‘left for dead’ by another expedition team the previous day at around 8700m on Everest after collapsing and failing to respond to treatment on the descent from the summit. Mazur and his fellow climbers – Andrew Brash (Canada), Myles Osborne (UK) and Jangbu Sherpa (Nepal) – in abandoning their own attempt on the summit in order to save Hall’s life epitomised the noblest traditions of mountaineering. Their sacrifice was underscored by the death of a British climber; David Sharp, who died a few days before Hall, lower down on the same route. Approximately 40 people said they saw Mr. Sharp in distress, and walked past him, but no one rescued David Sharp, and he subsequently died. 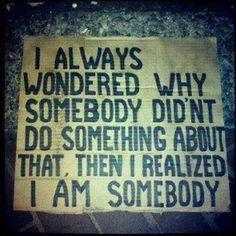 Sir Edmund Hillary, who made the first ascent of Everest in 1953 with Tenzing Norgay Sherpa, spoke out against those 40 people, and said that nothing like that would have happened in his day. In May 2006, Mazur made headlines when, while leading a small group of climbers on Everest, he discovered an injured climber named Lincoln Hall. Hall had been left for dead by his own climbing group a day prior. Mazur and his group risked their lives to save Hall’s. During the rescue, Mazur attempted to flag down two passers-by for help. The climbers claimed they did not speak English and continued on their journey to the top. Mazur later discovered that they did in fact speak English. Mazur explained that the urge to reach the top often effects the decision making of mountain climbers. Mazur further explained that the two hinted that if people are not strong enough to get back down on their own, they essentially deserve to die at the top. “This parable’s content is clearly practical and dramatic in its obvious meaning, but a time-honored Christian tradition also saw the parable as an impressive allegory of the Fall and Redemption of mankind. In this allegorical interpretation of the parable, perhaps Jesus was hinting in this parable of the fact that he was going to pay the price for our salvation. I would like to offer another interpretation of the parable; that this parable is an allegory, but with a different paradigm or point of view from the traditional. With all due respect to John Welch and others, I would like to offer a different allegory, wherein Christ is represented not by the Samaritan, but instead, Christ is the fallen victim, avoided by the quote “Corporate Religious Groups”, or modern-day Pharisees whose focus is upon achieving their self-serving goals. They would find nothing worthwhile to the corporate group’s interests in helping a half-dead wretch on the road or any other poor individual unable to contribute financially to their organization’s bottom line or financial growth. Such groups would deem it not only advantageous to themselves to not stop and help; better to give misery a wide berth, as stopping would only impede its self-serving financial objectives. Members of such large misguided religious corporations are represented in the parable by the Priest and Levite. They find that the dying individual does not fit into their corporate schedule. Besides, they are already late for some important meeting, and anyway, it’s contrary to their business plan to assume the liability or risk of helping a relatively insignificant individual. After all, it’s all about numbers and corporate sponsorship. In the parable, it appears for the Priest and the Levite and the Levite, their focus was more upon themselves, their position in the church, and the fact that there was nothing to be personally gained, by stopping to help this man; a viewpoint which flies in the face of the Lord’s expectation of the practice of believers, as we see in Proverbs 14:31. Now, it is popular among some Christian circles to portray Jesus as a radical with a totally different view from the Scriptures, which we refer today as the Books of the Old Testament. 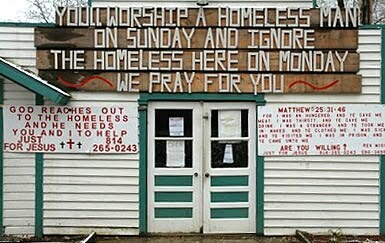 But what Jesus taught in Matthew 20 about helping the least of our brothers and sisters was totally in sync with the Old Testament. It was Pharisees, Scribes and other Jewish leaders who twisted the interpretation of the Scriptures to suit their own worldly priorities instead of the Lord’s, not unlike some so-called Christian churches today. Fortunately there those who hold close to the Lord’s intended purpose in the Scriptures. Just below the graphic illustration of the Lord’s Commandments in Luke 10, we find the verse from Proverbs 14. By their motivations and actions in not showing compassion and help the least of these, they have brought upon themselves the same treatment for their souls, condemning death upon them, by putting their own interests first. The same could be said for individuals and organizations that focus on their own growth and make no provision for caring for those in need who cannot contribute to their bottom line. The Apostle Paul authored numerous letters to Christian churches whose membership had drifted away from the path given to them by the Lord’s gospel and word. So if we walk by a beaten, naked, half-dead, penniless man left to die on the road, for whatever excuse we choose to rationalize our behavior, we have violated the rule stated in Luke 10:27b: “love… your neighbor as yourself.” And since God states that how to treat or mistreat others, particularly the less-fortunate shows to God how we love him, Luke 10:27a. By violating these two rules, that is, by not demonstrating love to our neighbor who is in need, God says you are treating Him the same way and you condemn your soul to death. But the keyword in Luke 10, is love, which the Apostle Paul describes for us as the “The Way of Love”, in 1 Corinthians 13. In conclusion, the next time you see an opportunity to help others and choose to walk around or go the other way, from someone in need, you have brought upon yourselves a heavy judgment by Son of Man on the Day of Judgment. You have in all likelihood denied yourself a place in God’s Kingdom. 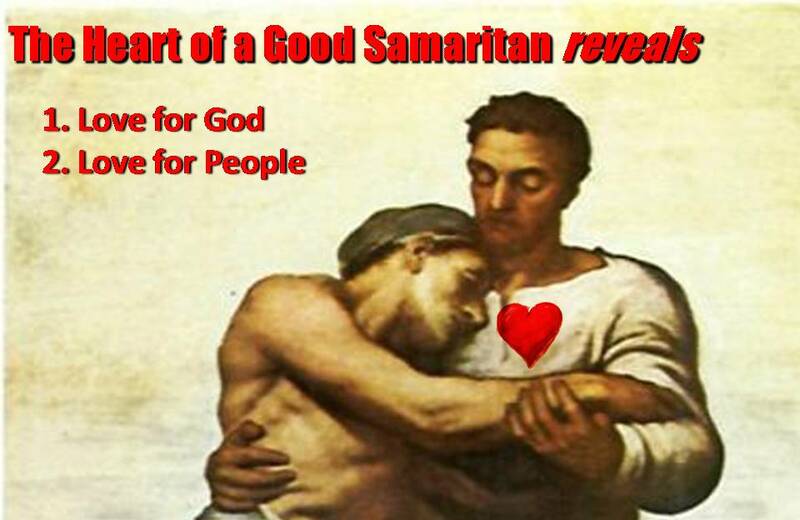 As believers in the resurrected Christ, we are considered to be “Born again” in God’s Holy Spirit, and if given an opportunity to be a “Good Samaritan” to demonstrate love and compassion to someone who is distress, we would do so without hesitation. Otherwise, as we read in Mathew 25:31-40, we can expect to be judged, accordingly. Peace be to the brothers and sisters, and love with faith, from God the Father and the Lord Jesus Christ. Grace be with all who love our Lord Jesus Christ with love incorruptible.